Field-Proven Processing Functionality: Ensure your success utilizing a platform built upon our proven patented, highly robust waves array processing. 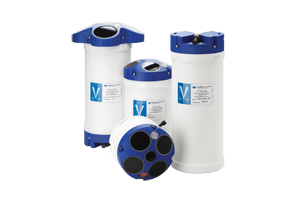 Field-Proven Hardware: Sentinel V ADCPs have been successfully used to collect waves and currents data in areas with waves as small as a few centimeters to over 20 m in height. Small Size: Sentinel V is available in a variety of configurations designed to meet your unique installment needs. Dual Profiling Modes: Separate control of the waves setup and current profile allows users to collect simultaneous currents and waves with no holes in the data. Integrated Sensors: Heading, pitch, roll, temperature, and pressure. More Powerful than a Single-Purpose Instrument: This highly versatile package delivers exceptional value by providing waves parameters, current profiles, echo intensity profiles, and water level all from a single instrument.